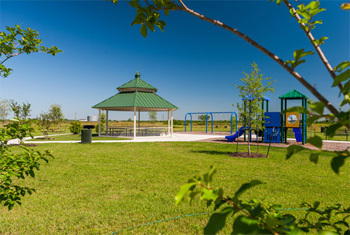 Nearly all of LGI Homes’ communities feature a similar playground as this one located at Presidential Glen in the Greater Austin area. You may be perfectly happy to come home at the end of a long workday and use your fenced backyard as a retreat. You might wave to your neighbor, but you don’t have the energy or inclination to socialize. An LGI Homes’ design lets you do just that. Other members of the community, however, may desire to get to know each better and spend some time together. If you are one of the latter, how would you go about enhancing the “community” aspect of your LGI Homes neighborhood? 1. Communicating. Obviously, when you’re outside your home or making use of one the LGI Homes’ walking trails or playgrounds, you can introduce yourself to other residents. If you want a broader, more consistent opportunity for communication, consider starting a Yahoo Group. These moderated listservs provide a prompt, regular and easy way for everyone who wishes to join to stay in touch. 2. Swap Meets. How about the occasional (maybe spring and fall) swap meet where neighbors gather to exchange unwanted items (clothes, tools, books, household goods) and donate the rest to charity? 3. Book Clubs. Books clubs are very popular. Amazon has lists of recommended books for reading. Some book clubs restrict themselves to biographies, mystery or bestseller fiction. Sometimes one book (think Proust or Dante) is the focus of a club. Starting a book club is a way to find a community of readers near you. 4. Discussion Clubs. Related to book clubs, these groups usually pick a general topic of interest and meet periodically (maybe once a month) to discuss. Topics range from questions or concerns about spirituality to the economy. 5. Meetup. You can also use Google’s Meetup. These groups are usually organized around member interest. If you enjoy bike riding or plein air painting, likely there’s a Meetup group near you. If not, you can start one. 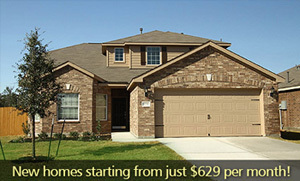 You mind find members in your own LGI Homes’ community.